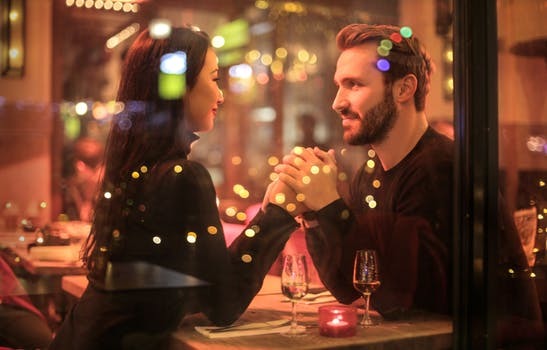 Here at Restaurant Meal Prices, we’re always looking for a reason to go out for a nice meal, so when we heard May was Date Your Mate month, we were inspired to enjoy a few meals out at some popular chain restaurants. Whether you’ve been with your partner for years, or you’re planning to ask your crush out to dinner, we highly recommend the following chain restaurants to take your dinner date. We’re suckers for seafood, and Joe’s Crab Shack hits the spot every time. The atmosphere is fun and upbeat, and the fare is perfection on a plate. Order a cocktail and start with Joe’s Classic Sampler, which includes Crab Dip, Crispy Calamari, and Great Balls of Fire (seafood balls with crab, cream cheese, and jalapenos). For the main meal, choose from the so-fish-ticated menu. Our top pick is the Redfish ‘N Lobster with scrumptious Seared Redfish, rich Lobster Sauce, Dirty Rice, and Veg. Get cozy for dessert with Campfire S’mores or Crabby Apple Crumble. If you and your sweetheart prefer a casual crowd, spend your date night at Max & Erma’s. The laidback vibe makes it the perfect choice for impromptu weeknight dates. Sip on Frozen Lemonade and share the delicious Soft Pretzel Sticks or Pesto Chicken Flatbread. Share the Laredo Steak with Erma’s Cactus Butter, or dive into the divine Cajun Alfredo Pasta. When it’s time for dessert, we recommend the Petite Treats—a trio of sweet confections. Order Erma’s Fresh Baked Cookies to go for an extended date night celebration. If romance is on your mind, Olive Garden is the perfect date night pick. The ambiance is low key, yet romantic, and the menu has something for everyone. Loosen up with a glass of wine, and ask for the famous breadsticks and salad. Create your own sampler with mouthwatering choices like Stuffed Mushrooms and Lasagna Fritta. For the main attraction, we recommend sharing the Tour of Italy, which features a trio of Olive Garden favorites, including Chicken Parmigiana, Lasagna Classic, and Fettuccini Alfredo. When it’s time for dessert, enjoy each other’s company over a cup of coffee and Tiramisu, or treat yourselves to Zeppoli—delectable dough puffs covered with powdered sugar and chocolate sauce for dipping. No matter which chain restaurant you choose for your next date night, make it special by customizing your own three-course meal. Whether it’s an impromptu night out or it’s been on your calendar for weeks, enjoy the evening and each other’s company. Bon appétit!